Herculaneum IV.11 Small dwelling linked to shop at IV.10. According to Wallace-Hadrill, this was the dwelling linked to the shop at no.10. From the doorway of no. 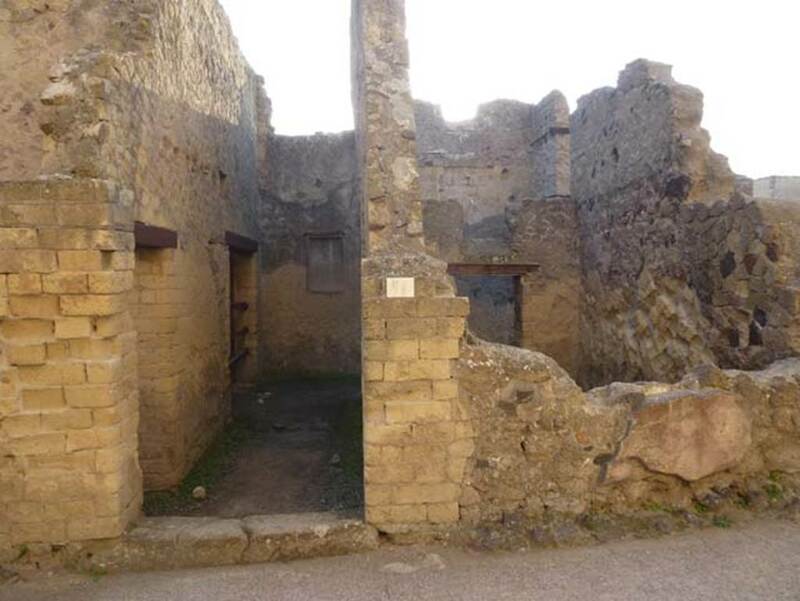 11, a lararium was visible, and the dwelling consisted of 3 rooms including a triclinium. 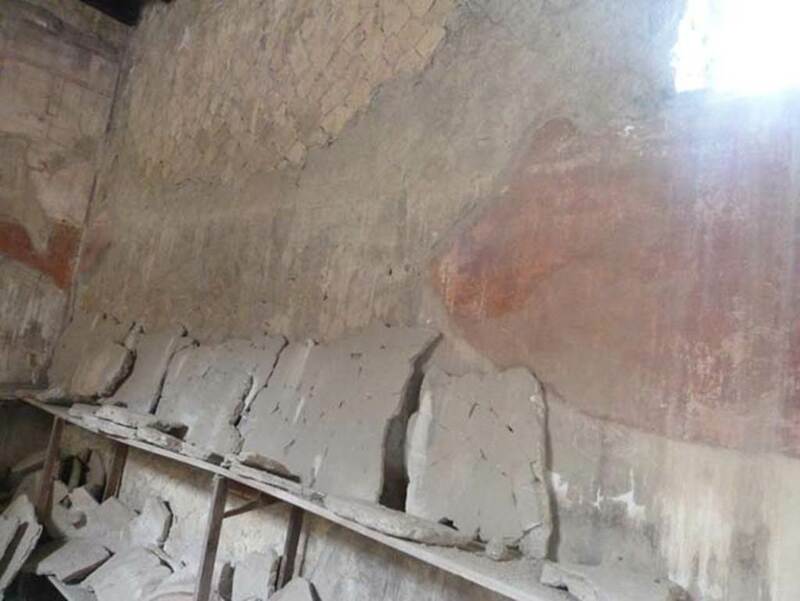 IV.11, Herculaneum, September 2015. Looking south to entrance doorway. Photo courtesy of Michael Binns. 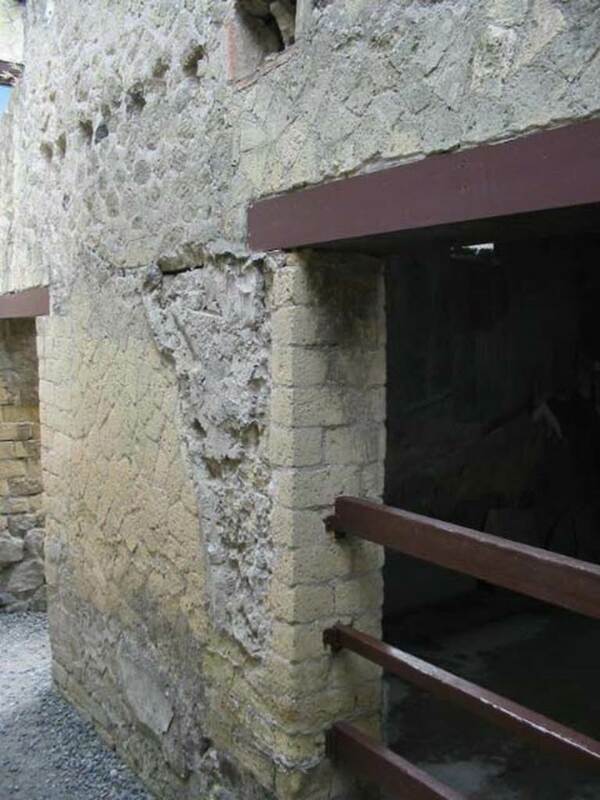 IV.11, Herculaneum, May 2003. Looking towards exterior wall on south side of Decumanus Inferiore, on east side of entrance doorway, on right. 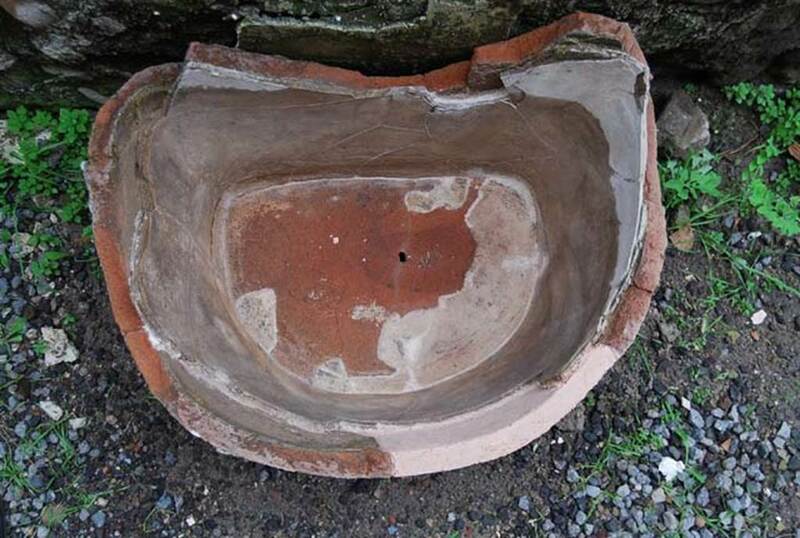 The large window would have given light to the large triclinium, from a corridor with latrine. Photo courtesy of Nicolas Monteix. 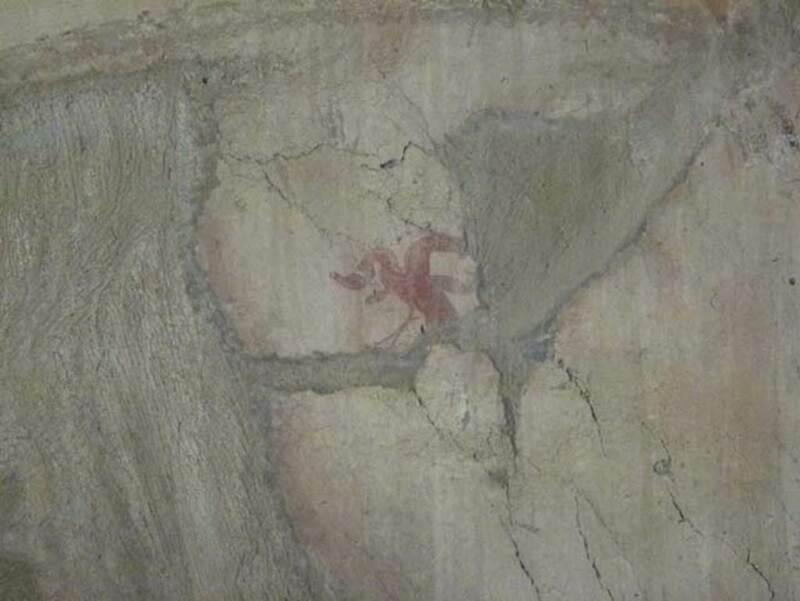 IV.11, Herculaneum, October 2012. Looking south to entrance doorway. Photo courtesy of Michael Binns. Lararium/recess on south wall of access corridor from doorway at IV.11. 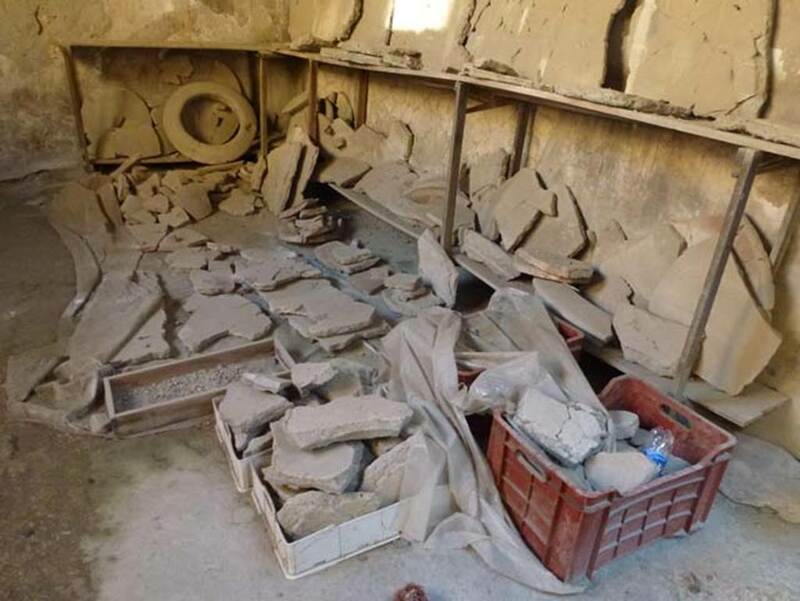 IV.11, from IV.10, Herculaneum, September 2015. Looking east from small corridor, into an area that may have been part of IV.11. Looking north-east towards doorway to large triclinium/oecus, on right, and corridor, on left. 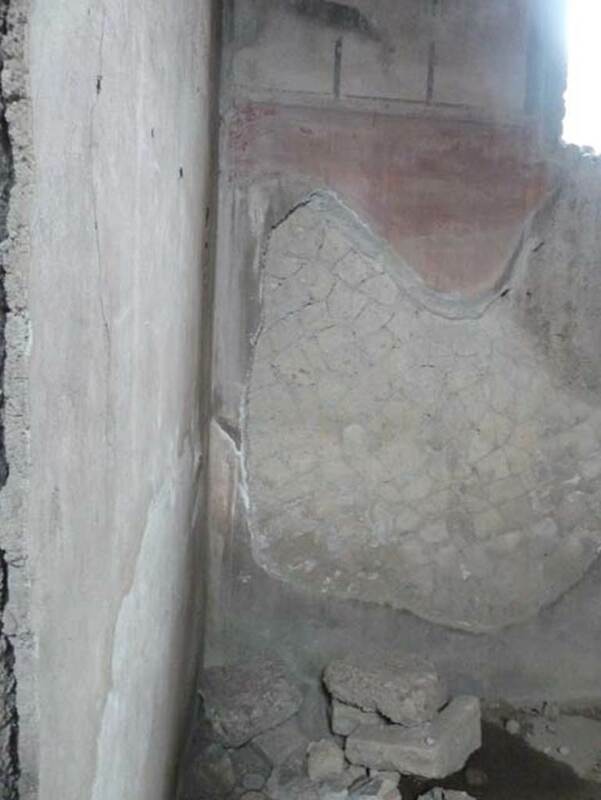 IV.11, Herculaneum, September 2015. 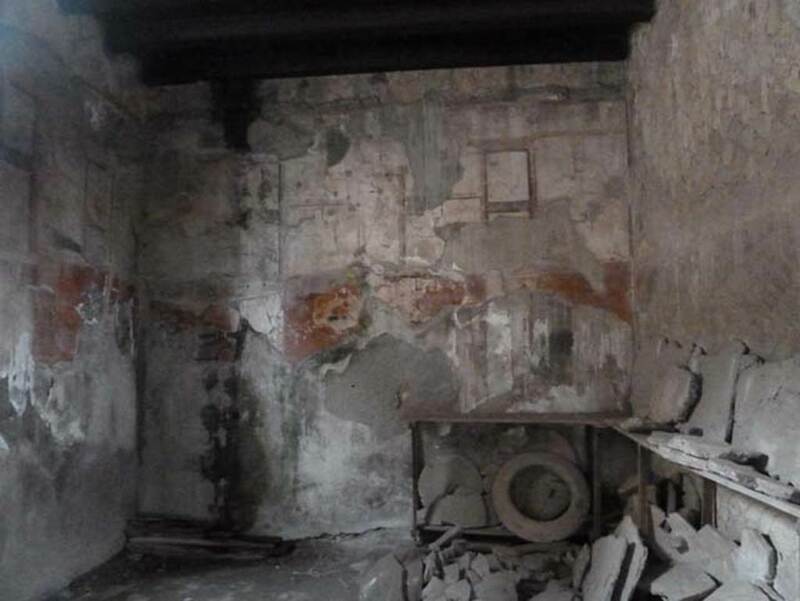 Room, perhaps a triclinium/oecus, on east side of access corridor. IV.11, Herculaneum, September 2015. North wall in north-west corner of triclinium/oecus. 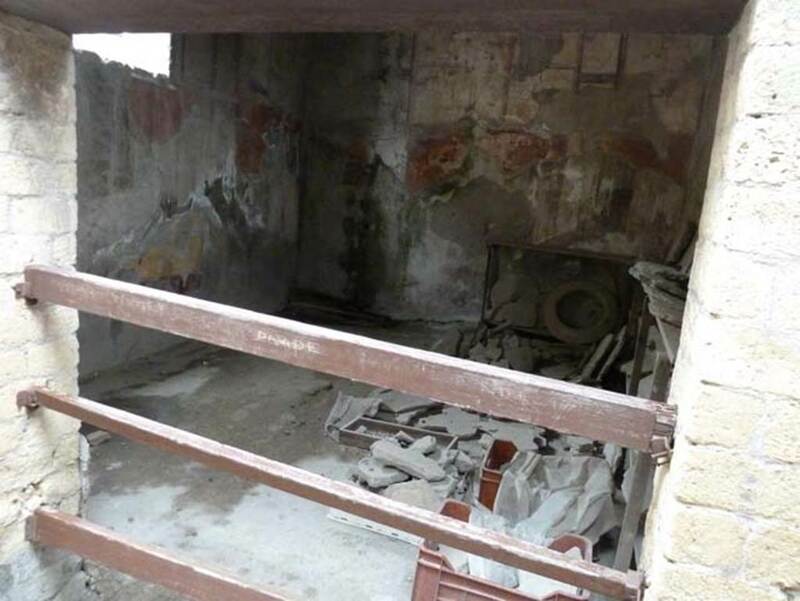 IV.11, Herculaneum, September 2015. North wall of triclinium/oecus, with window into corridor on north side. 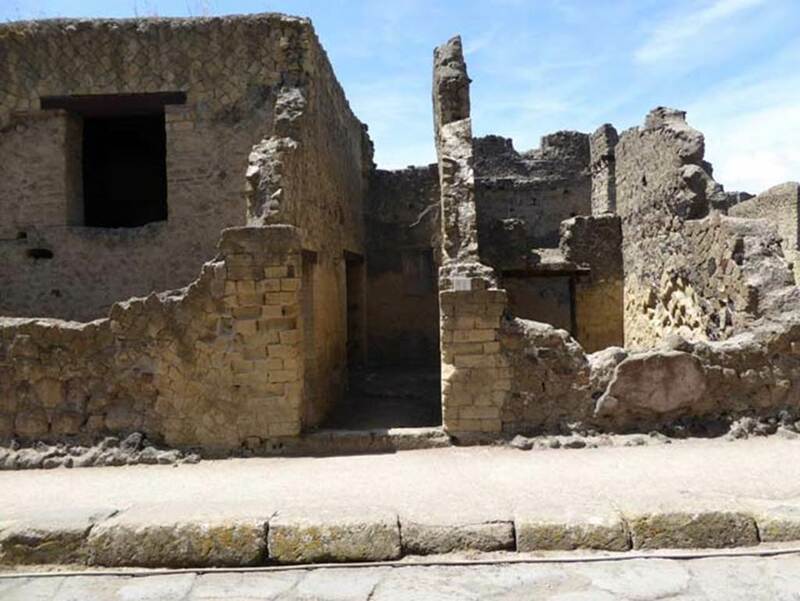 IV.11, Herculaneum, September 2015. 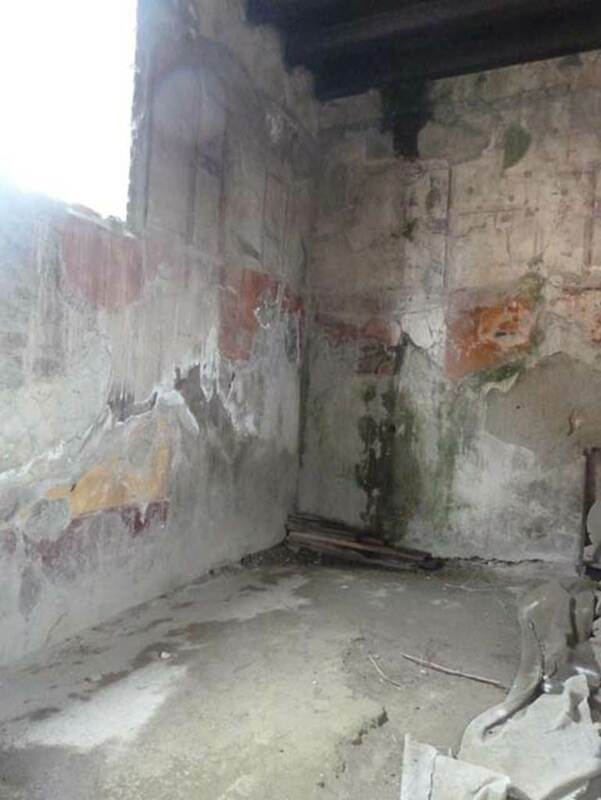 North-east corner of triclinium/oecus. 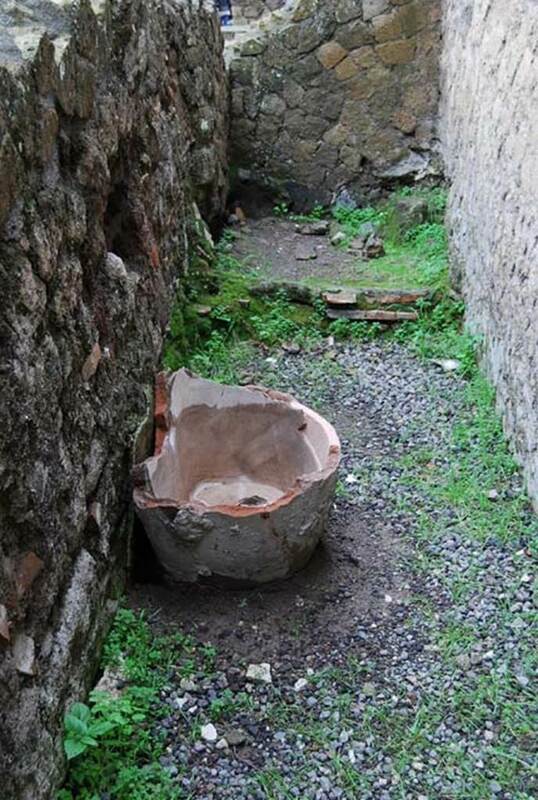 IV.11, Herculaneum, September 2015. Looking towards east wall in triclinium/oecus. 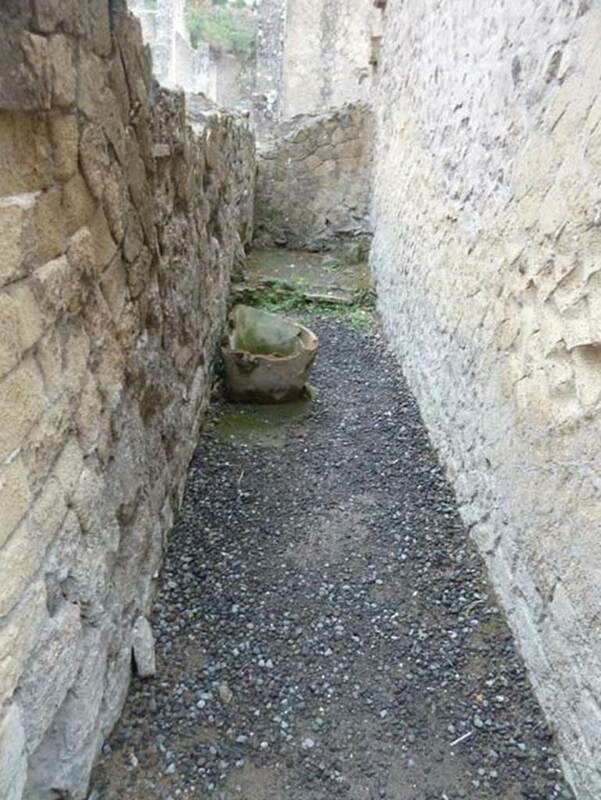 IV.11, Herculaneum, October 2012. Looking towards east wall in triclinium/oecus. Photo courtesy of Michael Binns. 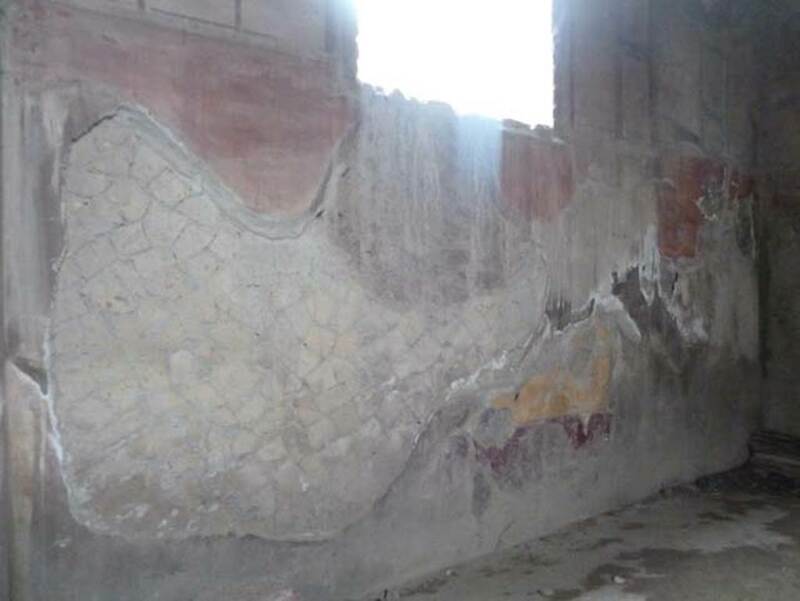 IV.11, Herculaneum, October 2012. 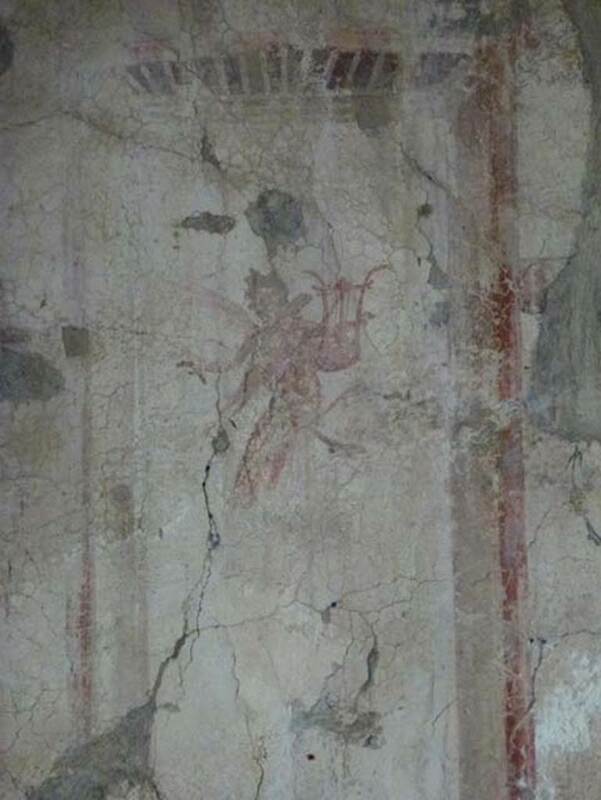 Detail of painting from east wall. Photo courtesy of Michael Binns. 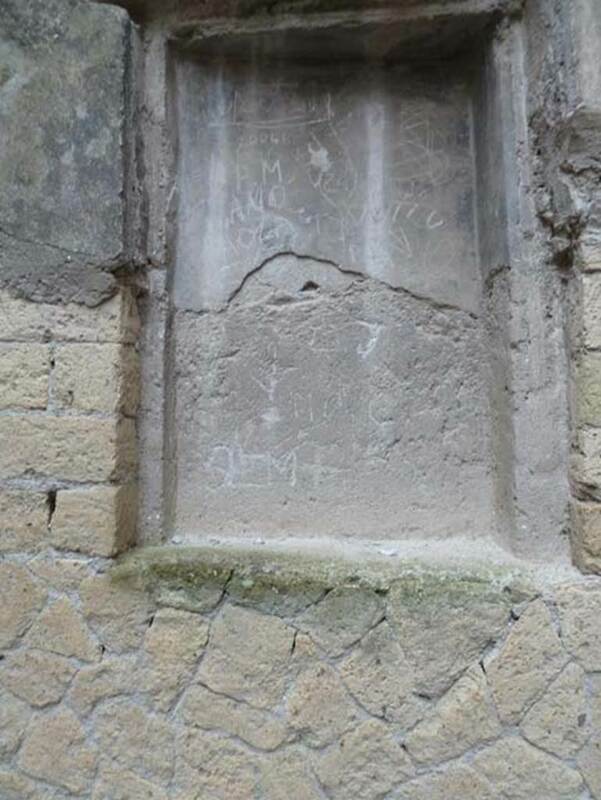 IV.11, Herculaneum, October 2012. Detail from painting on east wall. Photo courtesy of Michael Binns. 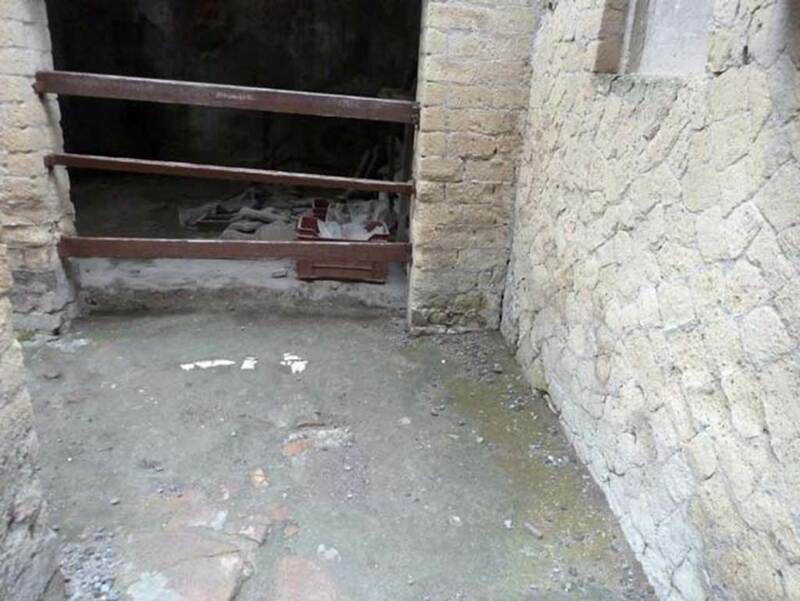 IV.11, Herculaneum, September 2015. 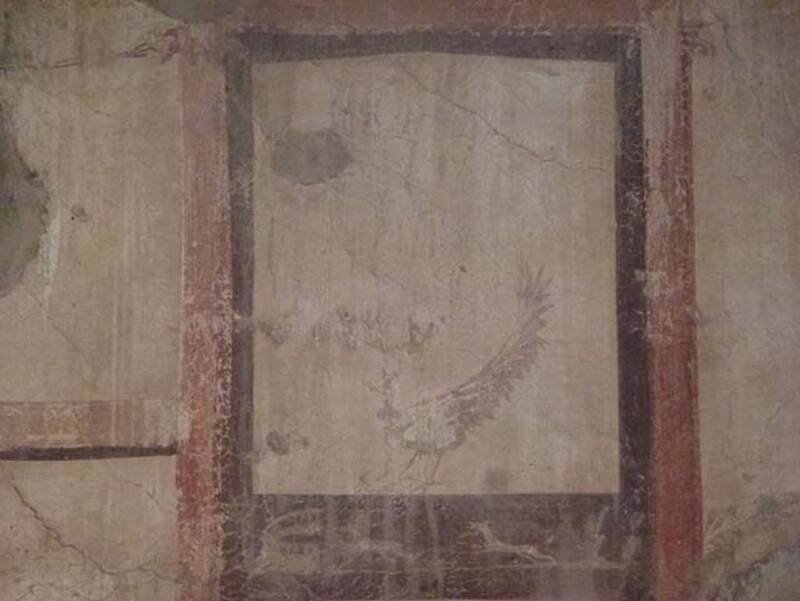 South wall in triclinium. 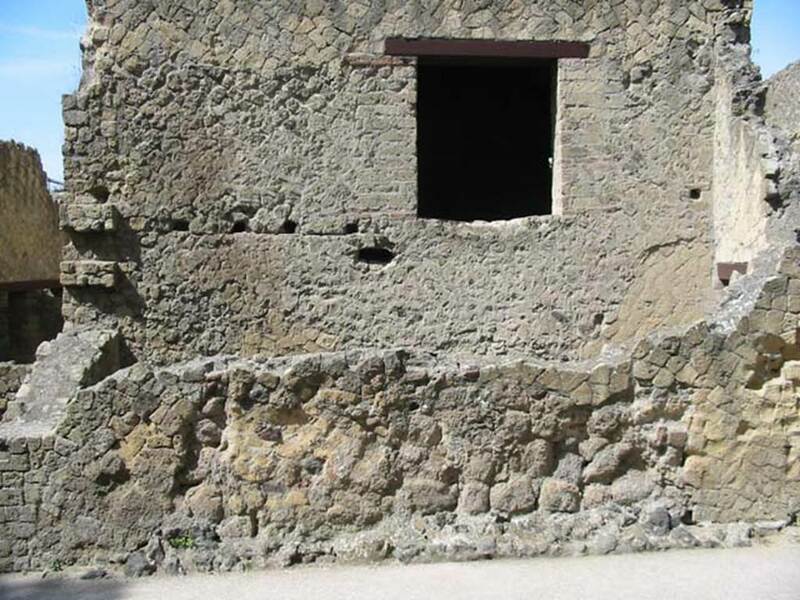 IV.11, Herculaneum, October 2012. 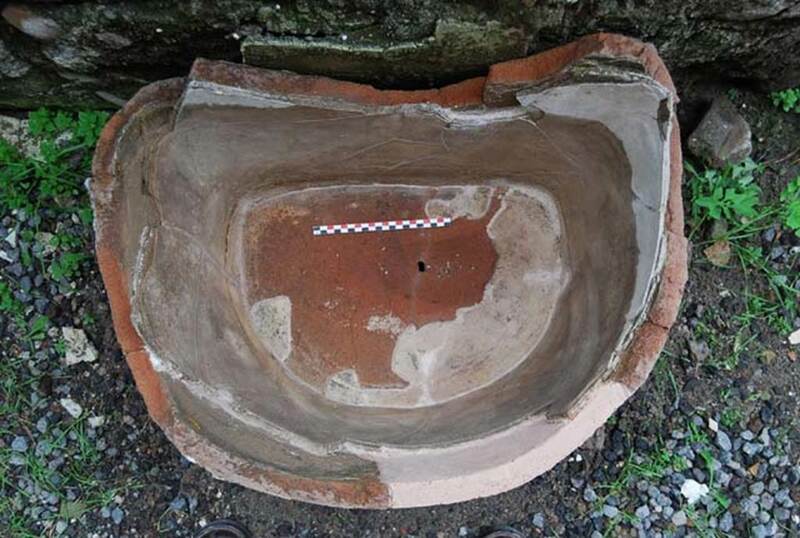 Triclinium/oecus. Photo courtesy of Michael Binns. 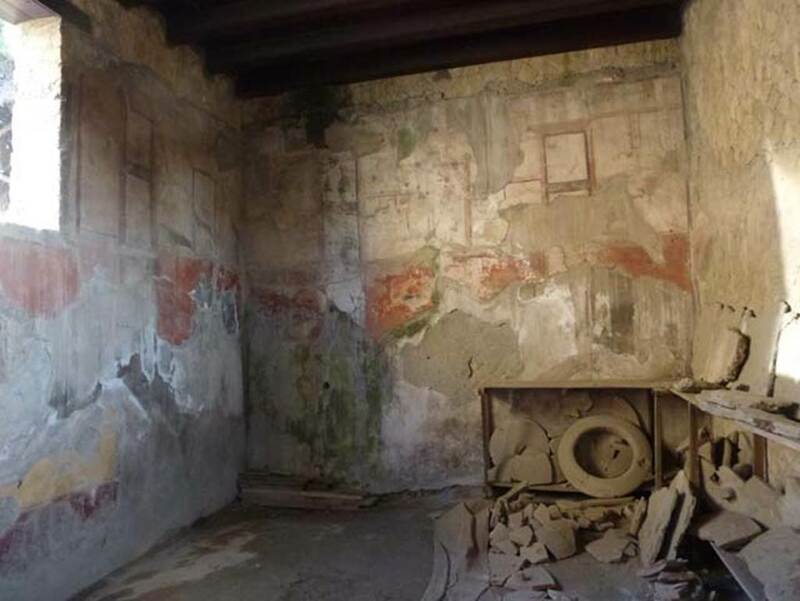 IV.11, Herculaneum, September 2015. Small area on north side of room, corridor leading to latrine. Looking east along small area on north side of large room, corridor leading to latrine. IV.11, Herculaneum, December 2008. Looking east towards terracotta pot in corridor. IV.11, Herculaneum, December 2008. 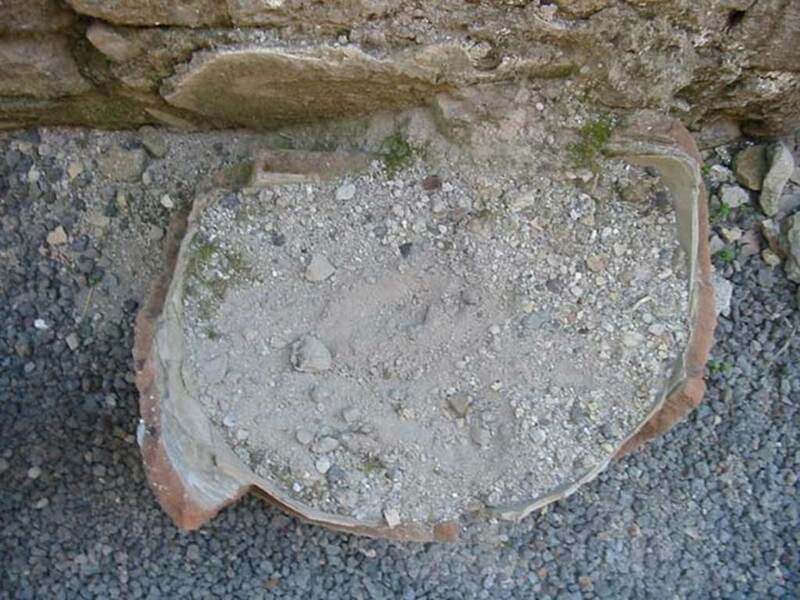 Pot in corridor. Photo courtesy of Nicolas Monteix. IV.11, Herculaneum, December 2008. Detail of terracotta pot in corridor. Photo courtesy of Nicolas Monteix. IV.11, Herculaneum, May 2003. 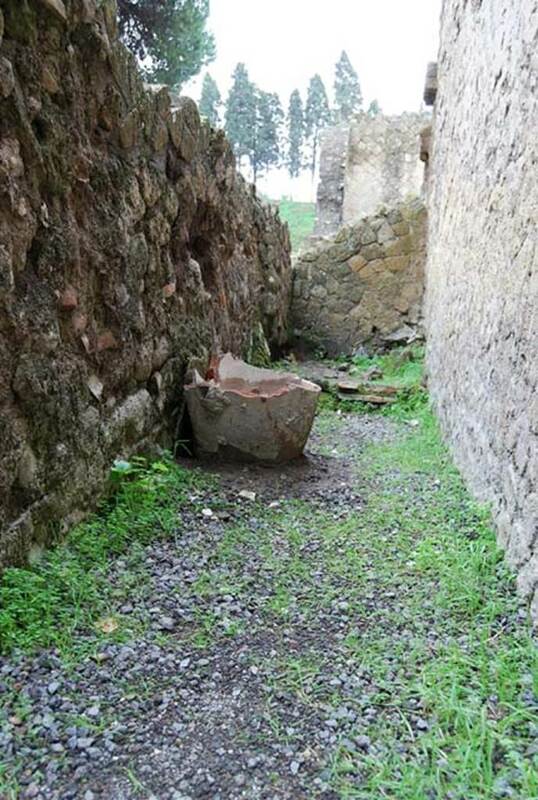 Terracotta pot in corridor. Photo courtesy of Nicolas Monteix. 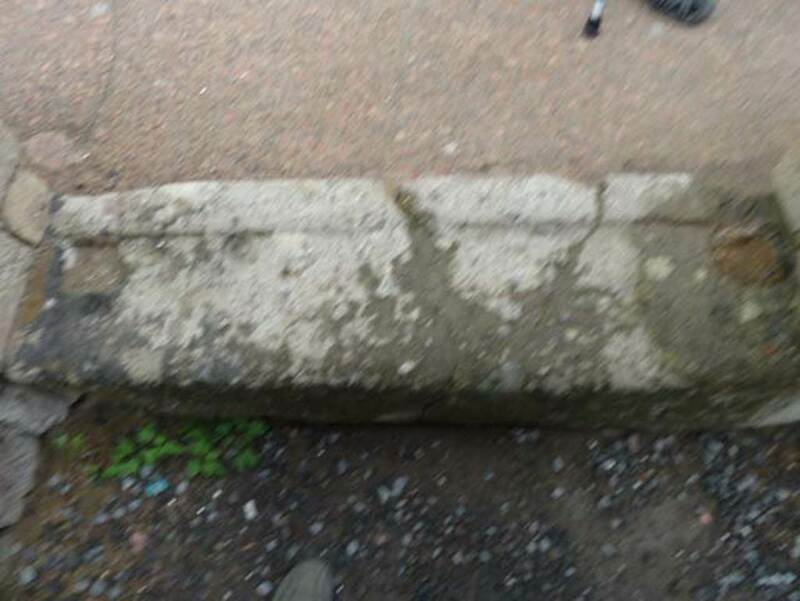 Threshold of doorway, from inside, looking onto pavement of Decumanus Inferiore, looking north.